While travelers can naturally find the best Chinatown in the world in the country itself, not everyone can travel to China to see it. However, almost every major city in the world has a Chinatown of its own with each having three things in common. These include places to shop, places to eat, and a traditional Chinese New Year’s festival held right in Chinatown. Those who want to enjoy the Chinatown experience without traveling too far might wish to check out some of the cities highlighted below. With six Chinatowns, Toronto’s largest and most centralized Chinatown is located between Spadina Avenue and West Dundas Street in the downtown area. Visitors to any one of Toronto’s Chinatowns will enjoy buying authentic Chinese items from street vendors or picking up a quick meal from an open-air vendor. They also have the option of going to a sit-down restaurant for dim sum or sweet and sour chicken with tea. Toronto hosts a Dragon Boat Race every year where participants from across the world come to compete in boats painted to resemble animals. The largest population of Chinese citizens outside of China make their home in Johannesburg, South Africa, which helps to explain why the city has two Chinatowns. The first is located along Commissioner Street, a historic area that has unfortunately declined since people moved out of the area in the early 1990s in response to growing crime. Cyrildene, an eastern suburb of Johannesburg, is home to the country’s second Chinatown. Visitors to Derrick Avenue can find Chinese restaurants, grocery stores, massage parlors, electronic stores, and other businesses owned and operated by Mandarin-speaking Chinese. The original Chinatown, located in the riverside enclave of Limehouse on the city’s east side, was a favorite stopping place for the fictional character Sherlock Holmes. Despite that notoriety, the city developed a more modern Chinatown on the west side that includes a new gate as well. It is best known for a speakeasy bar and having the best dumplings in all of London. With roots dating back to 1848, San Francisco is home to the oldest Chinatown in the world outside of Asia. For nearly 35 years, families traveled from China to San Francisco to start a new life in America. This slowed down considerably after passage of the Chinese Exclusion Act of 1882 that forbid them from voting, owning property, marrying anyone of non-Chinese descent, or sending for their families once they got settled here. San Francisco’s Chinatown is now a booming tourist attraction that sees more visitors each year than the Golden Gate Bridge. Travelers here will find the expected shops, markets, and houses of worship along with Chinese restaurants. One that especially stands out is Z & Y Restaurant on Jackson Street. In addition to its cultural significance and winning of numerous awards, Z & Y has world-famous Chef Han on staff. Chef Han has served many world dignitaries in China and continually attempts to combine new preferences with tradition. Eating here may just be one of the most memorable parts of the trip to San Francisco’s Chinatown. 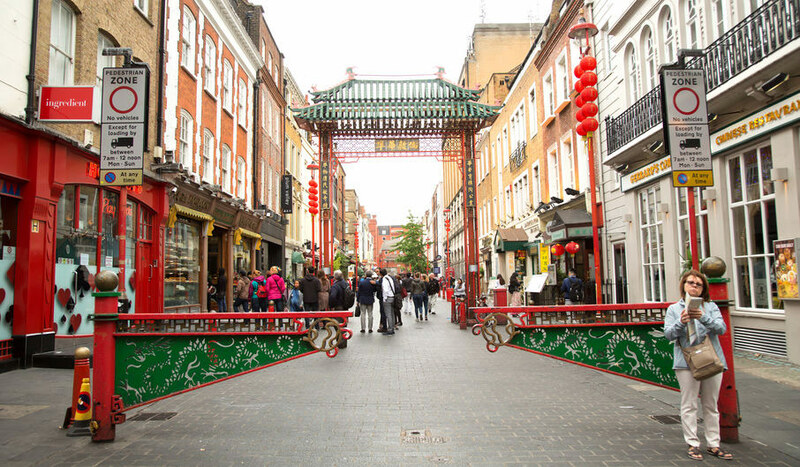 These are just four of the many Chinatowns located around the world for the adventurous traveler to explore.